Jamie Theakston-7 marathons in 7 days for Globals Make Some Noise!! From Cardiff to London. 28th September – 5th October 2018. 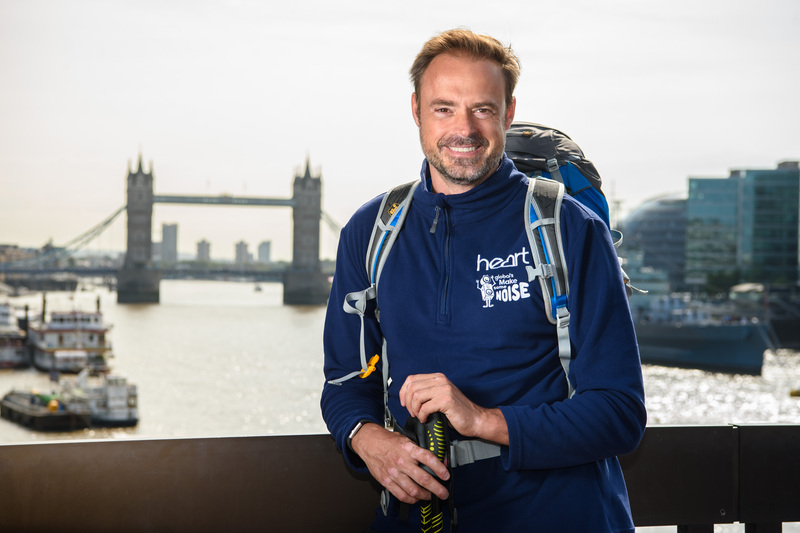 This Friday and Saturday, the Child Brain Injury Trust’s Welsh contingency, Kelly and Rachel will be supporting Heart FM’s Jamie Theakston as he begins his epic challenge to complete 7 marathons in 7 days walking all the way from Cardiff to London! Jamie will be taking on an enormous challenge in aid of Global Radio’s ‘Make Some Noise’ fundraising campaign. The Child Brain Injury Trust is one of the very lucky charities that will benefit from this year’s campaign. On Friday, Kelly Bevan – Child & Family Support Coordinator for Wales will be joined by Cardiff families to set Jamie off on the first day of his challenge from the Principality Stadium. On Saturday, as Jamie prepares for day 2, Rachel Parsons, Head of Fundraising and her band of supporters will say goodbye to Jamie as he sets off from Caldicot Castle.